Family is important. Whether your family is filled with children or consists of only you and your spouse, quality time will make your family stronger. I know someone who hasn’t seen their fmaily in years. So, he took it upon themselves to look into a site like http://www.riverislands.com/lifestyle, to see if the possibility of moving would allow him to be closer to his family. This is what family is all about. Sometimes we take our families for granted, but when you’re with them, you have such a good time. We are always looking for fun and creative things for our families to bond and become closer. That is why we have decided to create a Guide to the Perfect Family Fun Night. Every family is different and we understand that. Our guide will contain a variety of ideas for a night IN with your family! These are gifts that your entire family can enjoy together whether you’re sat on the floor in the lounge or around your gloss dining table, because nothing is more important than the love and time that you share amongst each other. We hope that you enjoy the ideas that we have on this list! If you would have any Family Fun Night ideas, please comment on this post to let us know! Follow Joyce’s board Family Fun Night on Pinterest Games are an important part of any Family Fun Night. Nothing brings a family together like good ole healthy competition. These are some of our favorite games to play during Family Fun Night. What are yours? 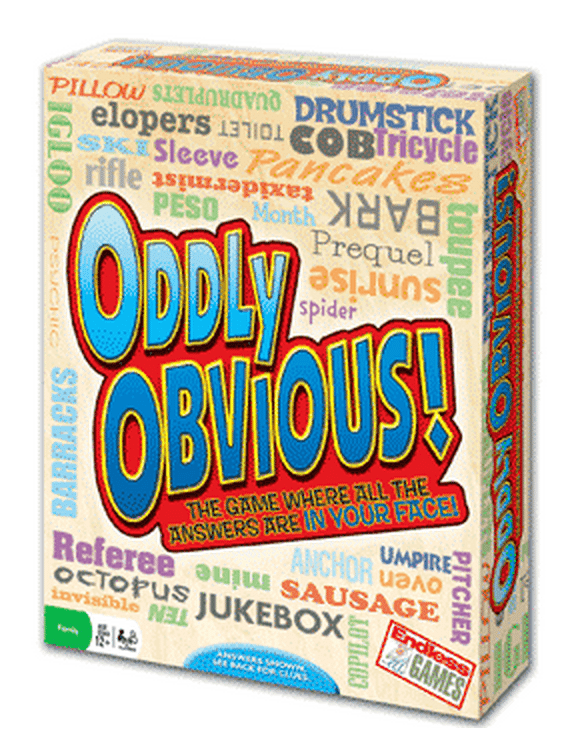 This is the perfect game for a fun and competitive family. It is great for groups and teams. 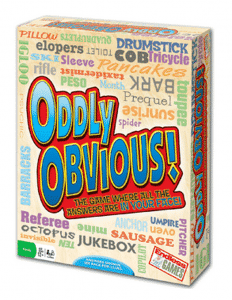 This game will have your entire family laughing and wanting more! It is mind bending and fast-paced! Great for the Perfect Family Fun Night. 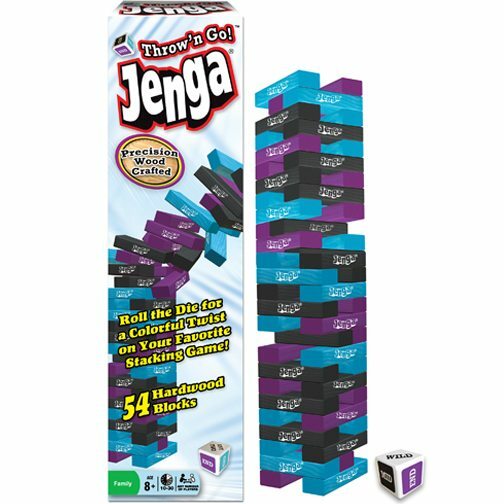 Throw N Go Jenga is the perfect game for families. You will laugh the entire time while trying to slowly and steading remove pieces from the stack. The best part is, you can’t choose to move what you want. You must roll a die to find out what you will pull. The best part is trying to get your family members to mess up! Add this to your Family Fun Night and everyone will be pleased! Hungry Monsters teaches children color recognition, fast thinking, and reaction time – all while the family has a blast playing it! Before you even start, unleash your creativity by decorating your own monsters. 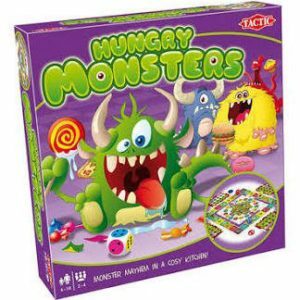 Then move around the board – in any direction you want – and play mini-games to try to earn food to fill your monster’s mouth. This is a must have for Family Fun Night with younger children! Mega Monopoly is a revamped version of Monopoly! You can now purchase more properties, get richer, and even build skyscrapers! With a third die, this game moves quicker. 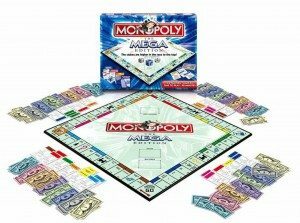 Winning Moves has many other great games for your Family Fun Night as well! Pictopia: Disney Edition is a game that is fun for “kids” of all ages! 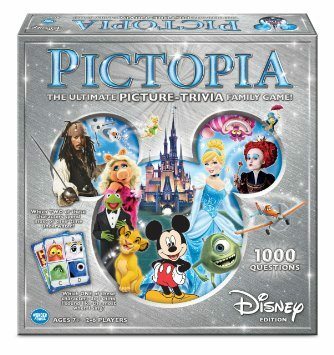 Any Disney fan will have a blast playing this game! During the game, everyone gets a chance to show off their Disney knowledge – from Disney Jr. and Disney XD to the Disney Parks and classic films. Players place wagers based on knowledge of those images, and then work together or on their own, to answer the question. Wonder Forge has many other games that will be a hit on Family Fun Night! 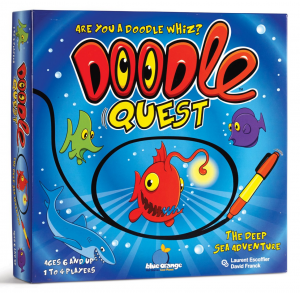 Blue Orange Games has a game called Doodle Quest. If you were to judge the game, by it’s cover you would immediately thing it is a game strictly for children. Lucky for me, it is not! It’s a game for the entire family. 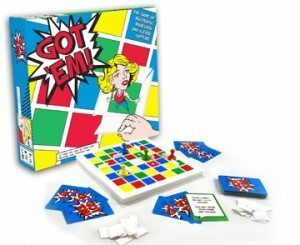 Got ‘Em is a fun game for 2-4 players. The object is to trap your opponent before they trap you! Everyone gets 3 cards at a time which will let you know where you can place walls – and even if you can walk through them! 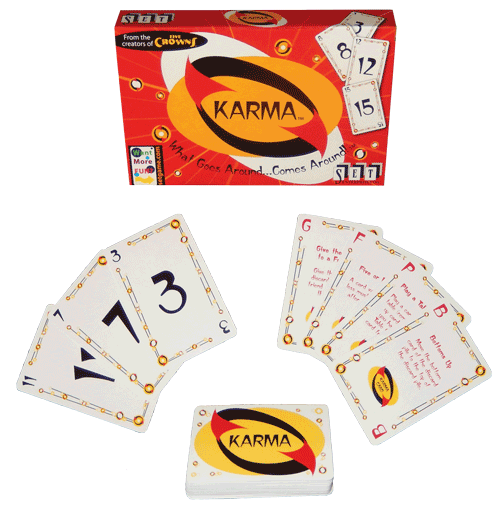 The goal of this card game is pretty simple – to get rid of all your cards first. Each turn, play a card of equal or higher value. If you can’t, you just might end up picking up the entire discard pile! Yikes! KARMA cards (which play like wild cards) can get you out of a jam, but What Goes Around…Comes Around so be careful! The last player with cards loses the game. Sometimes families just want to eat snacks, relax, and watch good movies for Family Fun Night! We have a list of movies that everyone in the family would love to watch together! VeggieTales movies always have a great moral to them. 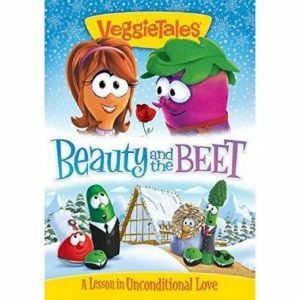 The newest one is titled Beauty and the Beet. A spin on the classic tale of Beauty and the Beast, this VeggieTales flick will have you laughing, crying, and learning! It is truly a lesson in unconditional love and will be enjoyed by the whole family. Jack and the Cuckoo-Clock Heart is a movie that is sure to entertain the entire family. 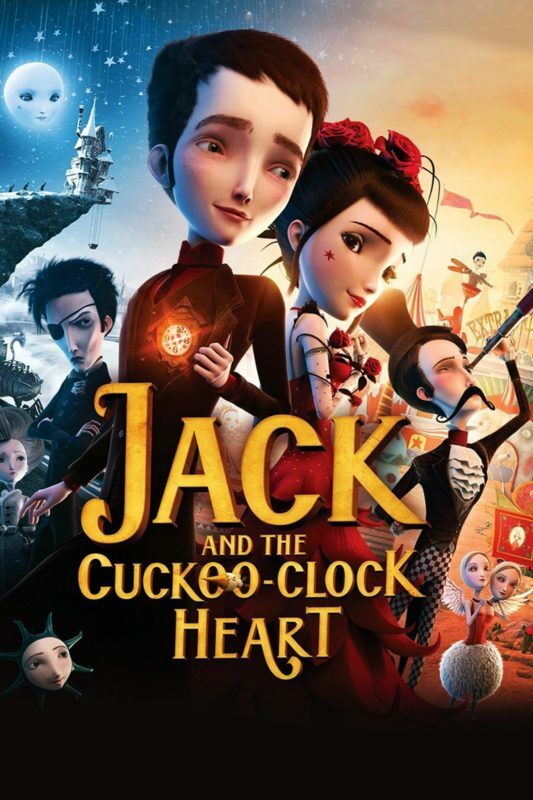 On a frigid cold day, Jack was born with a frozen heart. His midwife replaces it with a cuckoo-clock, but he must live by three golden rules. One of which is to never fall in love. People of all ages will enjoy this off-beat love story. It is a great addition to Family Fun Night! Read Our Reviews: Movie Time with Shout Factory! A Family Fun Night doesn’t exist without a ton of delicious snacks. These can be candies, chips, or any other finger foods. 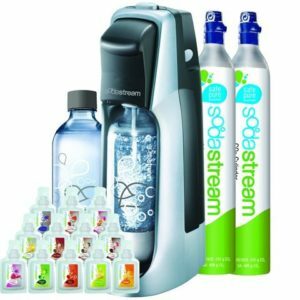 The SodaStream is easy to use and comes with a set of sample flavors so you can discover which ones are right for you. These sodas do not contain high fructose syrup, so they are better for you too! Impress your family and friends at your next get-together by turning plain water into delicious soda and other carbonated beverages with the SodaStream! Obviously a family fun night is not possible without snacks, especially popcorn! Popcorn is a family favorite in homes everywhere. It is important that you get the RIGHT popcorn. The most buttery and delicious! That’s where Kernel Season excels. They have popcorn that everyone will enjoy. 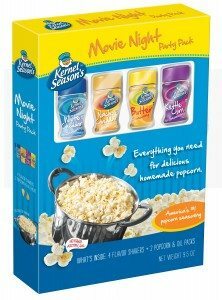 It can be made right on the stove and they have a variety of popcorn salts! Why not choose a healthy snack for family fun night? Throw something healthy into the mix and you will have some happy and healthy family members! 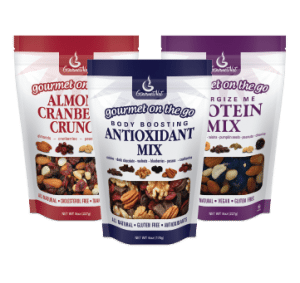 Gourmet Nut has DELICIOUS trail mixes and nuts. They have unique mixtures for trail mixes and each one has its only unique benefit, like energy, protein, etc. 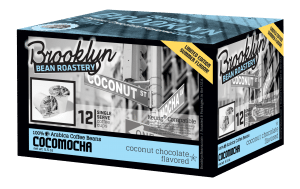 Each pack comes in a resealable bag, so you don’t have to worry about it going to waste! Who doesn’t love popcorn? 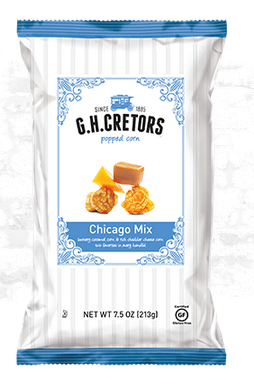 This gourmet Chicago Mix popcorn from G.H. 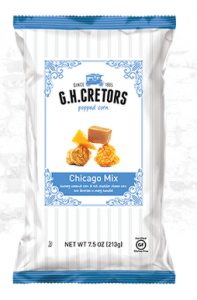 Cretors is the perfect mix of flavors. 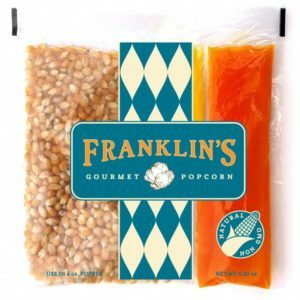 With half caramel and half cheese popped corn, you cannot go wrong! This popcorn is also gluten free, non-GMO, and all flavors are natural. That means no articifical flavors or colors and no corn syrup! 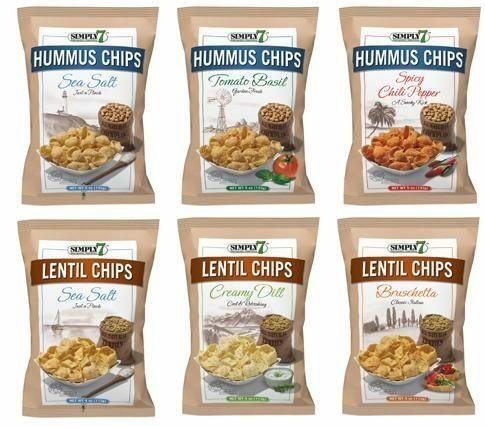 Simply7 has a wide variety of chips (Lentil, Hummus, Pomegranate, & the NEW Quinoa) and flavors. 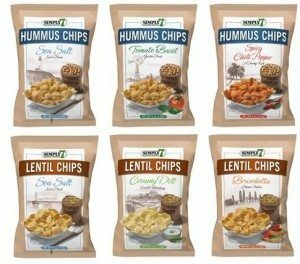 They are all natural, non-GMO, gluten-free, and vegetarian snacks. Everyone is sure to find a Simply7 chip that they love – so pull them out and impress at your next Family Fun Night! Family Fun Night just is not complete without a good cup of coffee or hot chocolate for the whole family! 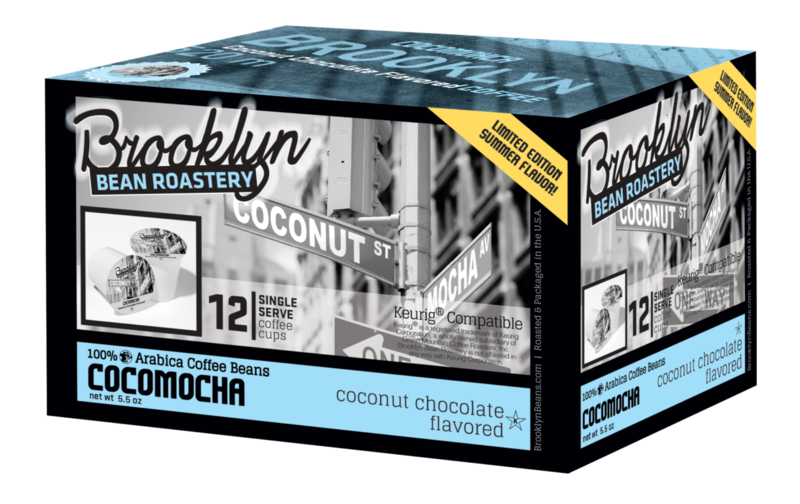 Brooklyn Beans Roastery features many fun flavored coffees and cocoas for the holiday season! 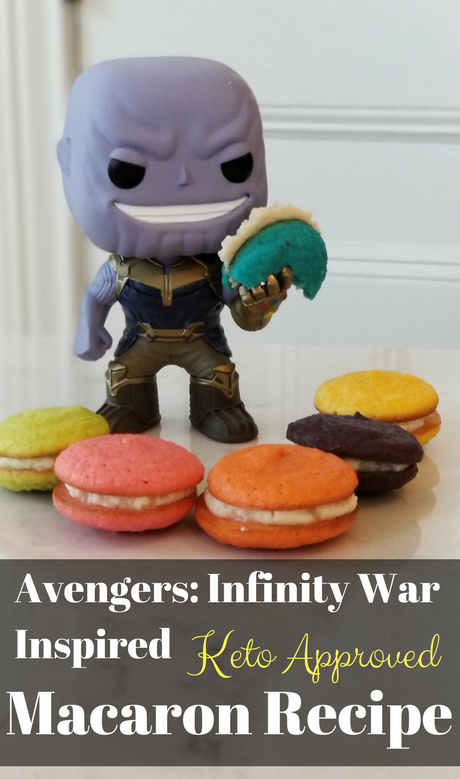 Think Red Velvet, Brooklyn Cheesecake and Cocomocha! Rudolph Foods has a ton of great snacks for Family Fun Night! My favorite are there crisp and delicious pork rinds. You can purchase these in different flavors such as Salt & Vinegar, Hot & Spicy, and Bold & Spicy BBQ. 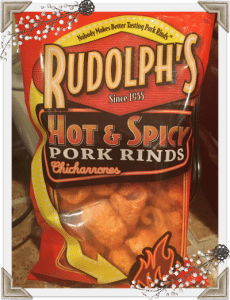 These delicious pork rinds would be a great edition to any family fun night or for any sports party! Make your popcorn at home right on your stove! It is delicious and fun! 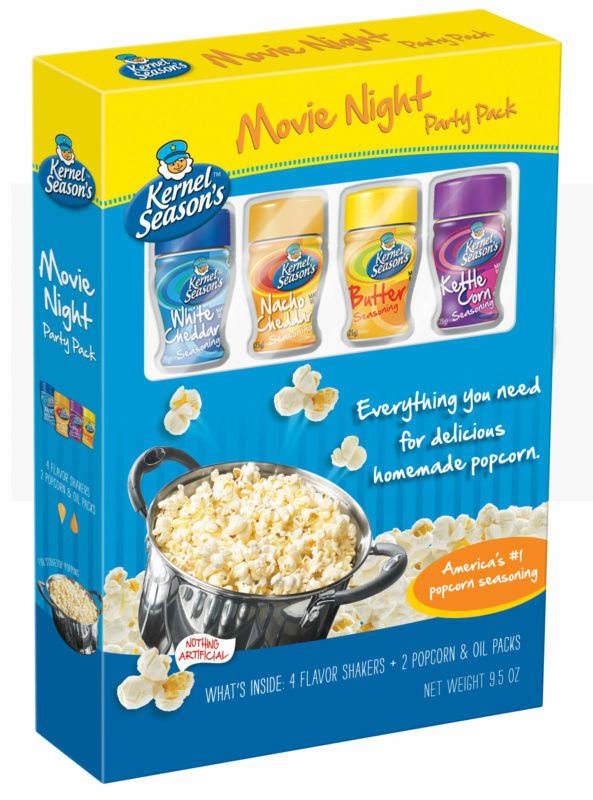 Each case comes with individual wrapped packs of popping corns, butter, and salt. Creating and building things as a family can definitely create bonds that will last a lifetime! When you build something with someone, you also build memories with them. We have a few crafty and DIY ideas for your family! 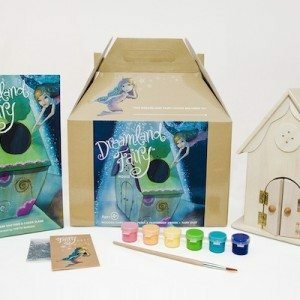 This Dreamland Fairy kit comes with a fairy house, paints, a book, and fairy dust. It is the perfect craft for a fun filled family night! Read the book about Dreamland Fairies and then create a home for your special fairies to come visit you in! You MUST have maximum comfort for a Family Fun Night! This means pillows, blankets, pajamas, and anything else that would relax you! Oh how important comfort is. The kids already have all of the nice and comfortable Pjs. Now it’s time to find something fun and comfortable for the adults. The Funzee adult onesies are funny, stylish, and the most important, comfortable. They have a variety of colors, designs, and styles! Pick one up for your Family Fun Night and experience the full comfort that children do. 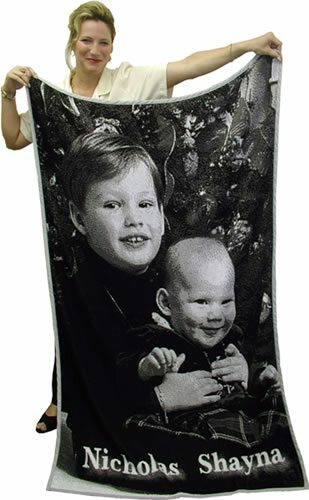 Well you obviously need the most comfortable throw blanket in the entire universe for your Family Fun Night. 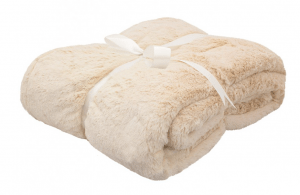 The Cariloha bamboo throws are so incredibly soft, luxurious, and comfortable. They are 50% bamboo / 50% Polyester and 100% comfortable! This isn’t your average size throw blanket either. It is a bit larger and a bit heavier, making it great for any height or any size! Pick one of these up for maximum comfort at your Family Fun Night! Cuddling up while watching a movie, or even playing a game, is a great part of Family Fun Night! So why not cuddle up in a blanket with your favorite photo memory on it? 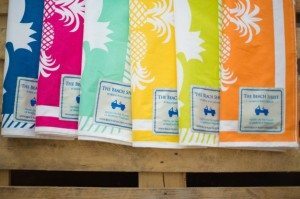 These PhotoThrows are made in the USA and are extremely durable. The stitching is beautiful and they really bring your memory to life! different patterns. Beach Sheets measure 6′ x 6′ so they can fit the whole family! They are made in the USA and are great quality – ready to last you through many years of use! This subscription box is perfect for Family Fun Night! They have socks for women, men, AND children. 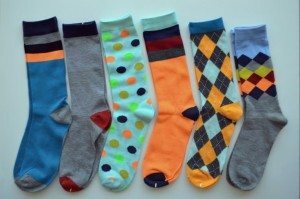 Their socks are well made, stylish, and of course COMFORTABLE! These are the extra goodies that we just couldn’t squeeze into a category, but that a Family Fun Night would not be the same without! What family has never wanted to be a family of superheroes? Well, now you can be! Save the Earth during your Family Fun Night with superhero outfits from Everfan! 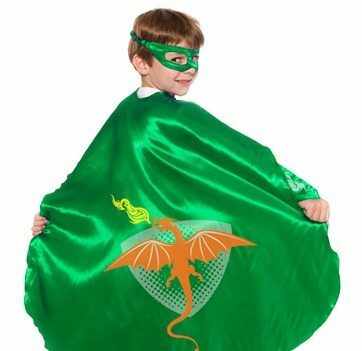 They offer blank capes, whimsical capes, collegiate capes, and even personalized capes in both child and adult sizes! Read Our Reviews: Everfan – Super Hero Capes & More! Every child likes to dress up. And every little girl wants to be a princess. Great Pretenders offers a wide variety of quality dress-up clothes. From princesses, to pirates, to fairies, to dragons – they have it all. 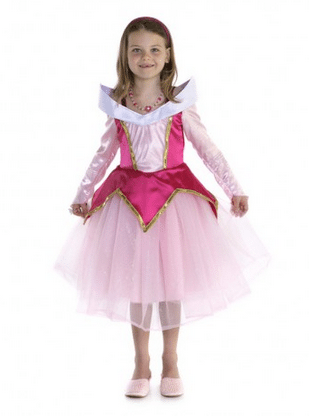 Add some imagination to your Family Fun Night with dress-up clothes from Great Pretenders! A great activity to do on Family Fun Night is putting together a puzzle! It exercises the brain and gets you thinking! Not to mention, it is a lot of fun! 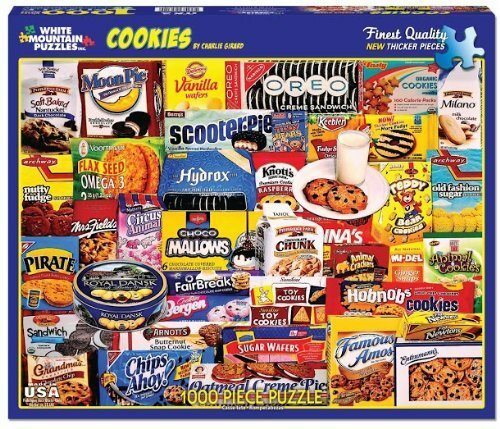 White Mountain Puzzles has a wide selection of puzzles – from 24 pieces and perfect for little ones, to 1000+ pieces to get adults’ minds working! Their puzzles are fun and unique. 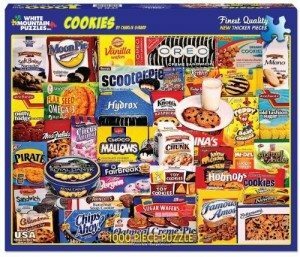 Read Our Reviews: White Mountain Puzzles – Perfect for Family Fun Night!